If you don't see something that exactly suits you in our portfolio of designs, Contact Us. We can design a piece on commission especially for you. 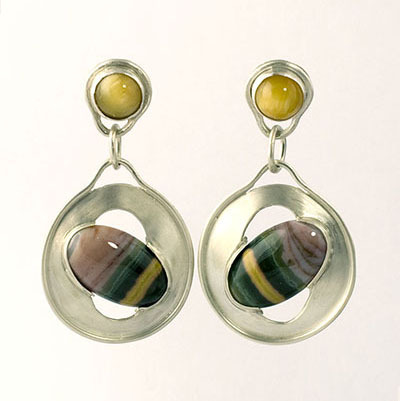 Sterling Silver Earrings with Ocean Jasper and Honey Opal Cabochons. This is an example of a custom commission. Price: Depends on the gemstone choice. Contact Us to order a similar piece.